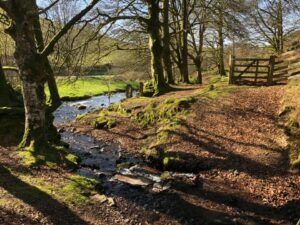 About North Tawton: situated amid beautiful River Taw Valley countryside in West Devon with Dartmoor National Park nearby. Kirsty’s Cafe and Ice Cream Parlour – serves delicious takeaway food. Graylings award-winning Fish and Chips takeaway and restaurant. Spar Store – food, drink, DVDs, plants, solid fuel and in-store services. Taw Valley Creamery Cheese Shop. North Tawton Post Office and Newsagent – provides banking services. Taw Valley NHS Dental Care. North Tawton places of worship: Nonconformist Chapel, United Reformed Methodist Church in the former Congregational Church building and Anglican Church of England Church. North Tawton Community Primary School is an Ofsted rated GOOD Preschool and School. Frank Henson Gibbings Memorial Park provides adventurous children’s play equipment and family picnic tables. North Tawton Youth and Community Centre is a Multi Room Youth Centre offering Wii games console, pool, table tennis, arts and crafts, music sessions, and organised outdoor activities. Refurbished Public Toilets accessible for disabled people and their carers. Bed and Breakfast accommodation and Self Catering accommodation available in North Tawton and surrounding villages. Mobile Library parks up in The Square opposite North Tawton Town Hall. The Mobile Library Timetable for North Tawton, Bondleigh, Sampford Courtenay, and Bow, is updated each month on North Tawton website. North Tawton Defibrillator and CPR information includes the location points for the readily available defibrillators in the town. North Tawton Fire Station is situated on Barton Street; covers an area of about 60 square miles. In the event of an emergency: dial 999. Bow village is only 4 miles from North Tawton and boasts an impressive garden and aquatic centre. 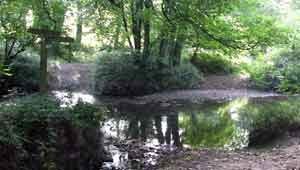 Dartmoor National Park is situated 6 miles from North Tawton. Okehampton Golf Club set on the edge of Dartmoor National Park. The Museum of Dartmoor Life. The New Carlton Cinema equipped with 2 screens showing mainstream releases and National Theatre Live streaming. Crediton Town is situated 12 miles from North Tawton. The ancient market town of North Tawton is well-known with regard to William Budd, who was born in North Tawton, September 14, 1811. William Budd was born into an active medical family. His father, Samuel Budd, was as a medical doctor in North Tawton. William Budd, physician, and epidemiologist, is known for recognising the contagious nature of infectious diseases. William Budd recognised the poisons involved in infectious diseases, and how the poisons could be transmitted to the healthy through their consumption of contaminated water. There are few things which concern the people of this country more deeply than to know the exact truth touching the mode in which this fatal fever is disseminated amongst them. William Budd was instrumental in vastly reducing the number of deaths caused by cholera and typhoid fever. William Budd is credited with decreasing the incidence of deaths from epidemics of cholera from 2,000 (out of a population of 140,000) in 1849 to 29 in 1866, having taken measures to protect the water supplies in Bristol. The late Poet Laureate and Children’s Author, Ted Hughes (1930-1998), together with his then wife Sylvia Plath – fellow poet, novelist, and short-story writer – acquired a house; Court Green, North Tawton, during the year 1961. Ted Hughes was honoured with a memorial floor stone in Westminster Abbey Poets’ Corner; set in place below the memorial stone for his mentor T.S. Eliot. Fellow poet Seamus Heaney unveiled the memorial in front of more than 300 guests on December 6, 2011. The six hundred year tradition of honouring the greatest poets of the age with a tomb, monument, or memorial floor stone in Westminster Abbey Poets’ Corner includes; William Blake, Elizabeth Barrett Browning, Robert Burns, Lord Byron, Geoffrey Chaucer, T.S. Eliot, Thomas Hardy, John Keats, William Shakespeare, Percy Bysshe Shelley, Alfred Tennyson, William Wordsworth. Ted Hughes was born in Mytholmroyd, West Riding of Yorkshire. The Ted Hughes Arvon Centre, Lumb Bank is an 18th-century mill owner’s house in West Yorkshire, which once belonged to Ted Hughes. The house stands half a mile from the historic village of Heptonstall and two miles from Hebden Bridge. Ted Hughes Memorial Walk, focusing on Ted Hughes memorial stone situated above the River Taw on Dartmoor, was organised by local Farms for City Children charity on June 15, 2015. Guided memorial walk map available for download on Farms for City Children website. Jennifer Saunders’ BBC television series Jam and Jerusalem was filmed on location in North Tawton, and on nearby Dartmoor, with local community engaged as acting extras. St Peter’s Church and North Tawton Town Hall feature prominently throughout the series, which ran from 2006 to 2008.